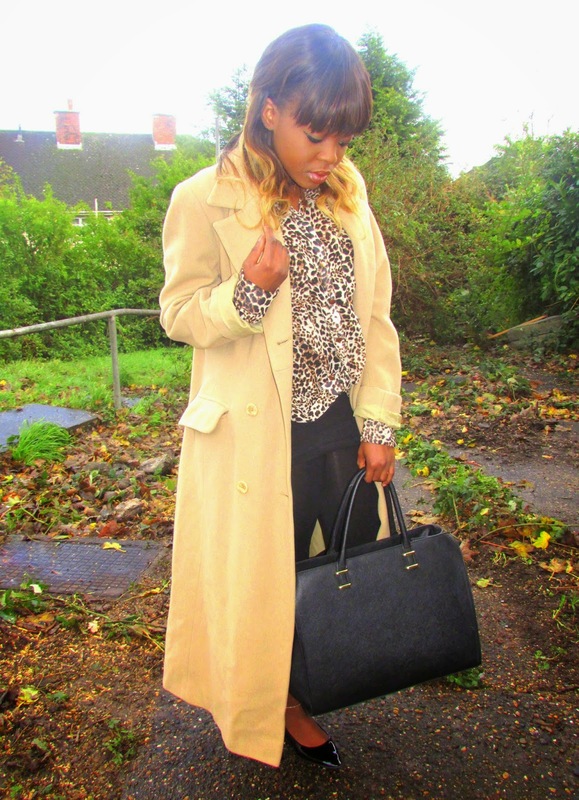 Camel Coat / Thrift Leopard Print Top / New Look Vest / New Look Leggings / Select Shoes / H&M Handbag. 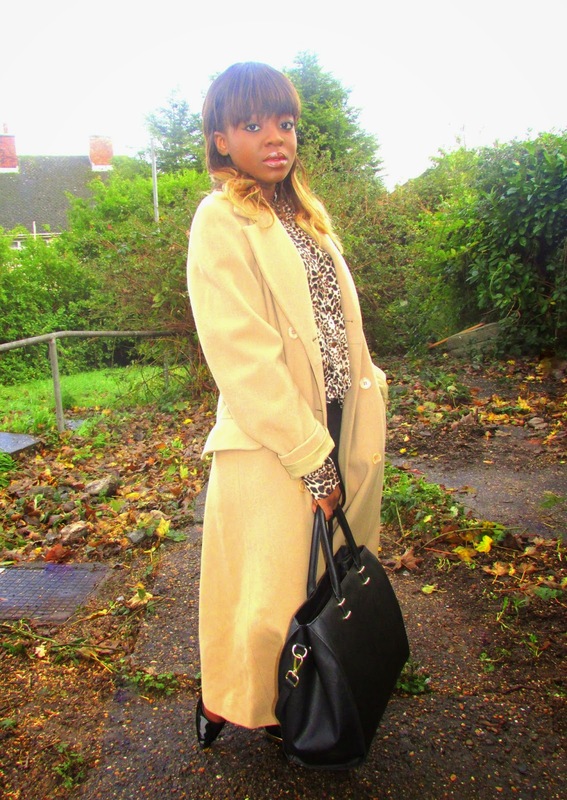 After getting through yet another hectic week; the weekend is finally here so what better way is there to make a statement than by debuting my new Camel coat! 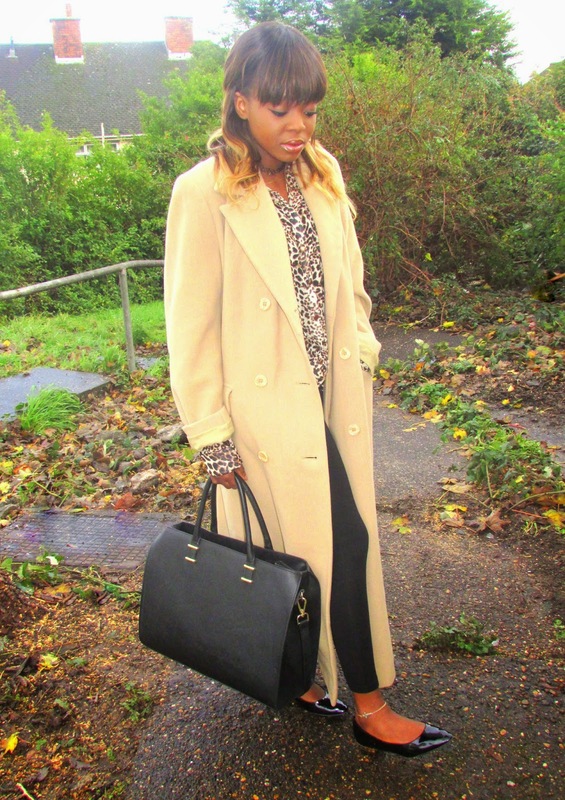 Yes, I finally gave in and treated myself to this beauty after a rather frantic search. 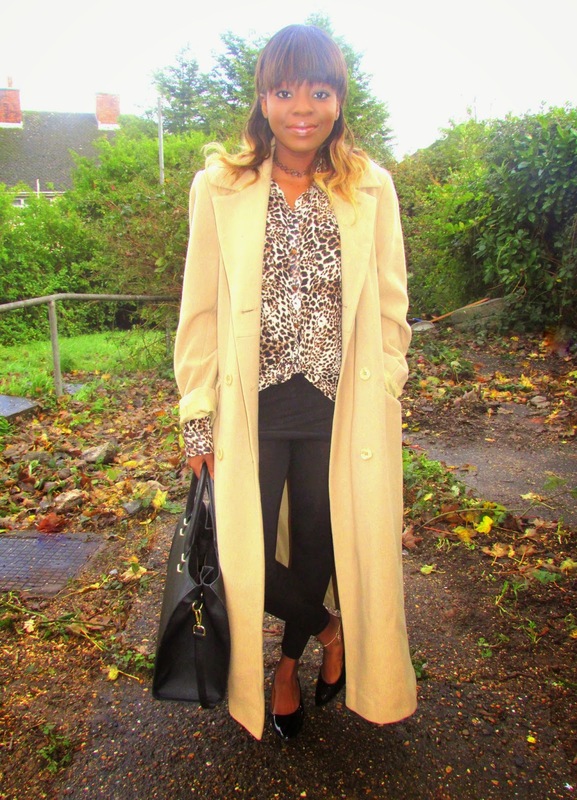 Having lusted after a camel coat for about to years now, it feels so good to own one; one that fits great and is the perfect length. I live for lazy weekends lately, it's only right I throw together an ensemble fit for a lazy day. 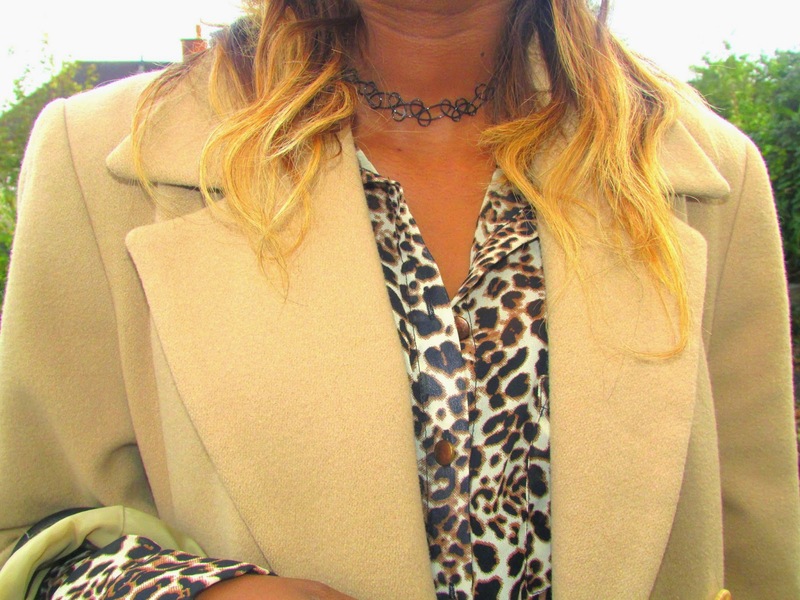 Teaming up leopard print with all black and then finishing off with this amazing camel coat and a choker seemed like a match made in heaven. Dinner with a few friends followed by a night in filled with movies and popcorn is my idea of a Saturday well spent.